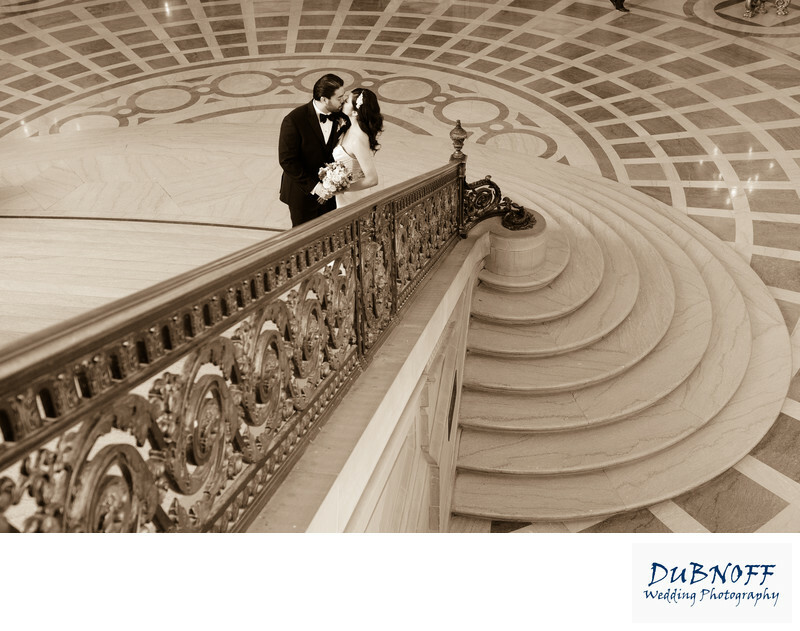 We are one of the few city hall wedding photographers to photography the Grand Staircase from this angle. We were not the first and won't be the last, but we have taken this shot a number of times over the past 7 years and our wedding clients love it. I often am asked by our newly married couples to take this angle of photo for them. It's a hard shot to pull off if there are other tourists and married couples milling about because many of them tend to hang out at the bottom of the Staircase. However, whenever we are able to do it, we will give it a try and hope that people don't walk in. The Grand Staircase is such a unique piece of Architecture and it provides many different angles and views. In the photo above we used Sepia Tone to add to the effect.